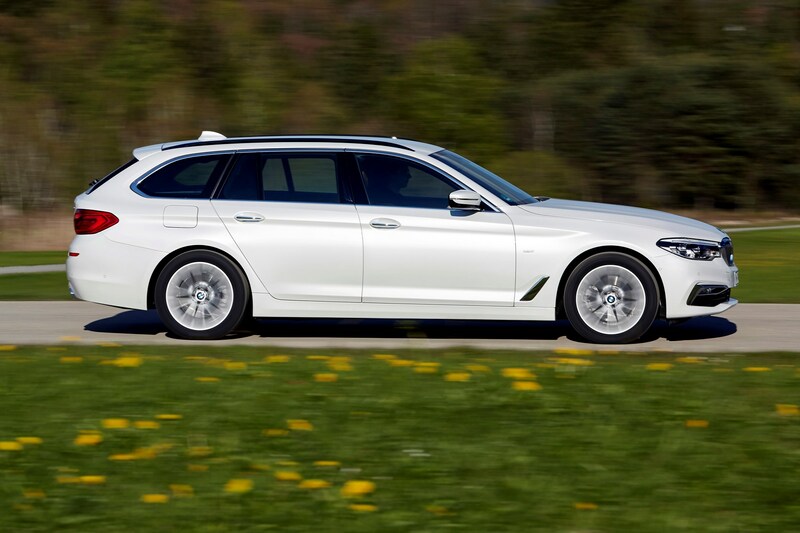 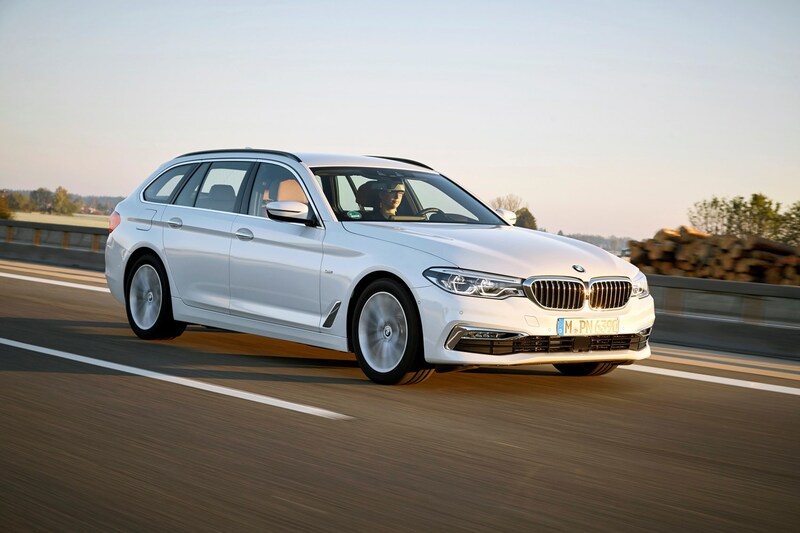 The Touring is the estate version of the BMW 5 Series, and BMW’s rival for the Mercedes-Benz E-class estate and Audi A6 Avant. 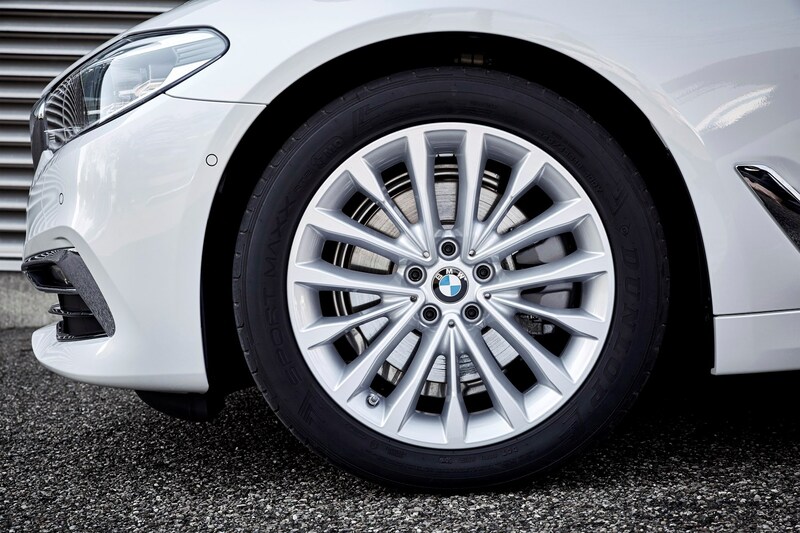 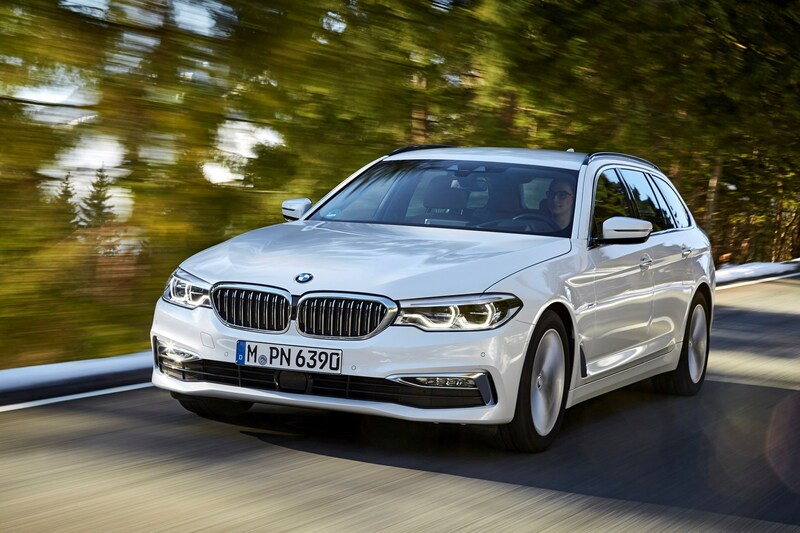 Accounting for around 25% of the 20,000 annual 5 Series sales in the UK, it’s one of the most versatile all-round family cars money can buy. 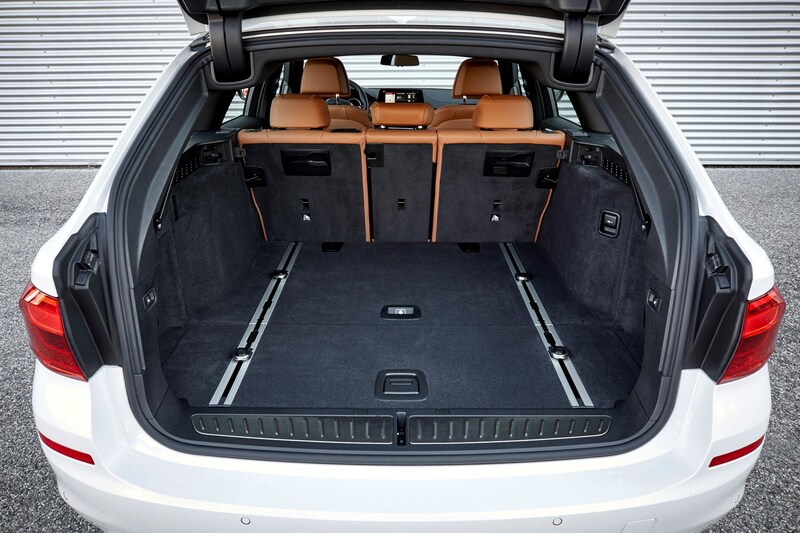 It combines a spacious interior, large luggage capacity, excellent refinement and strong performance with good to exceptional fuel efficiency. 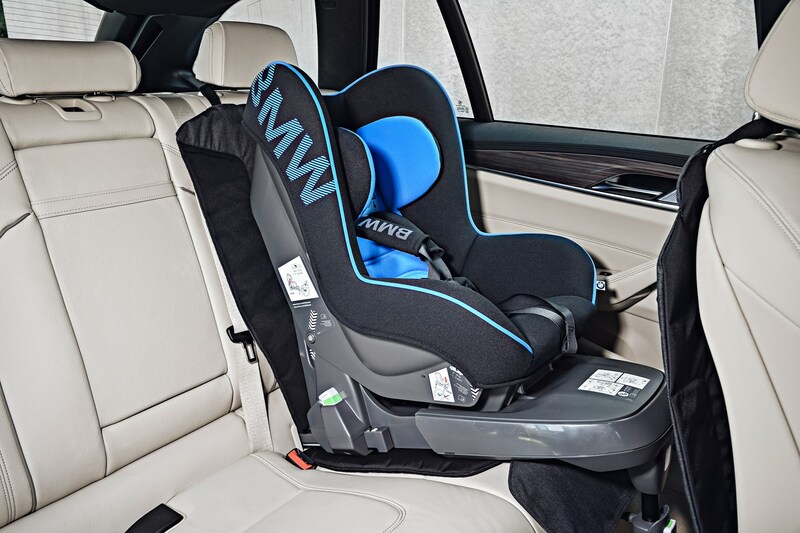 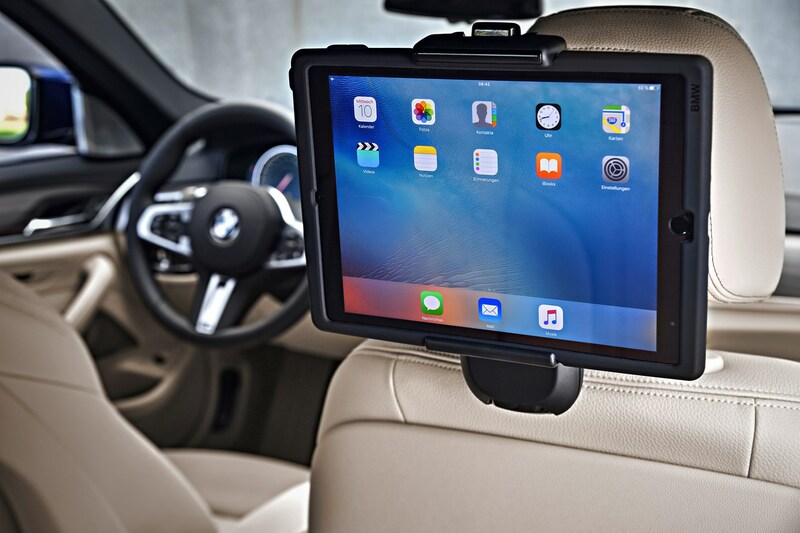 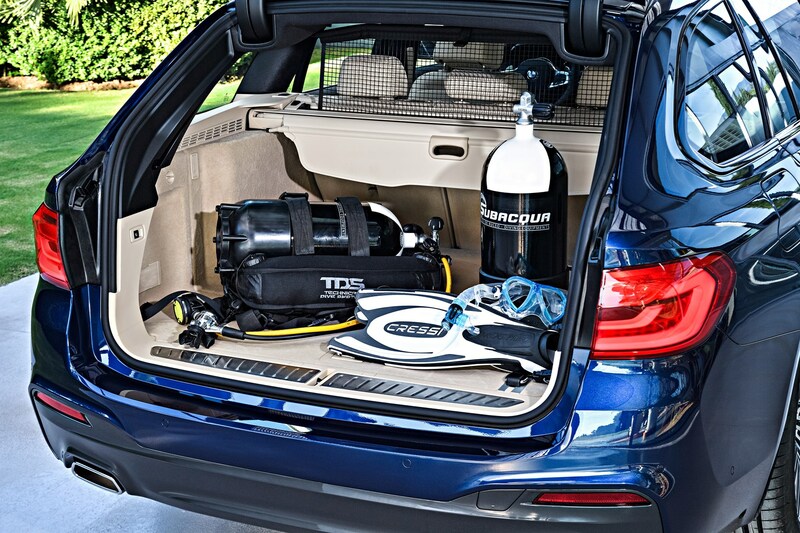 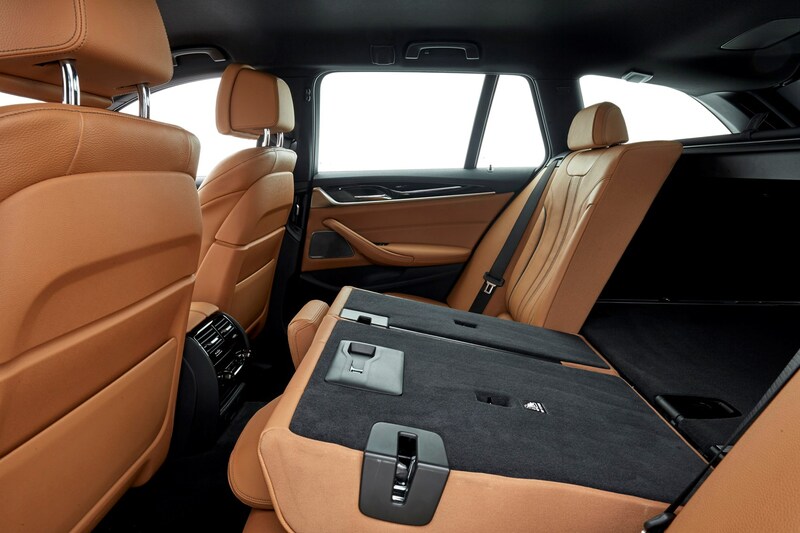 Of all BMW’s range, only the X5 SUV can cover more bases when it comes to load-lugging, family-friendly practicality. 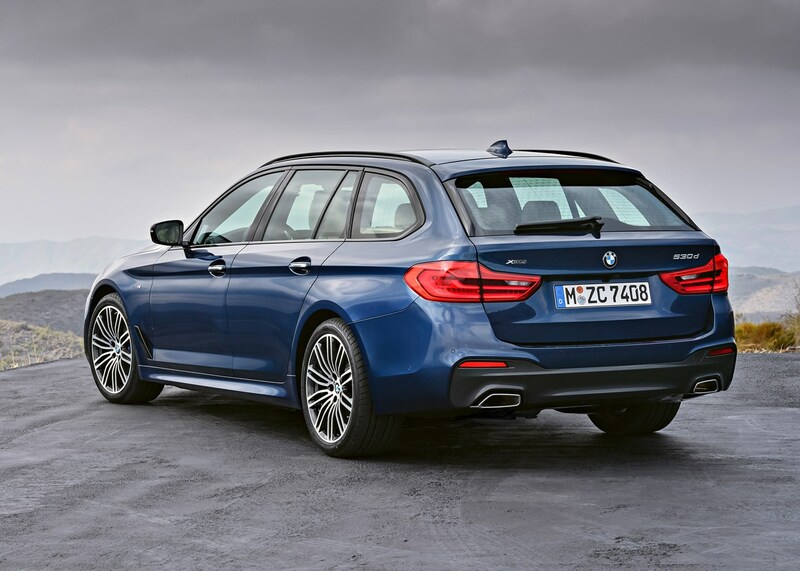 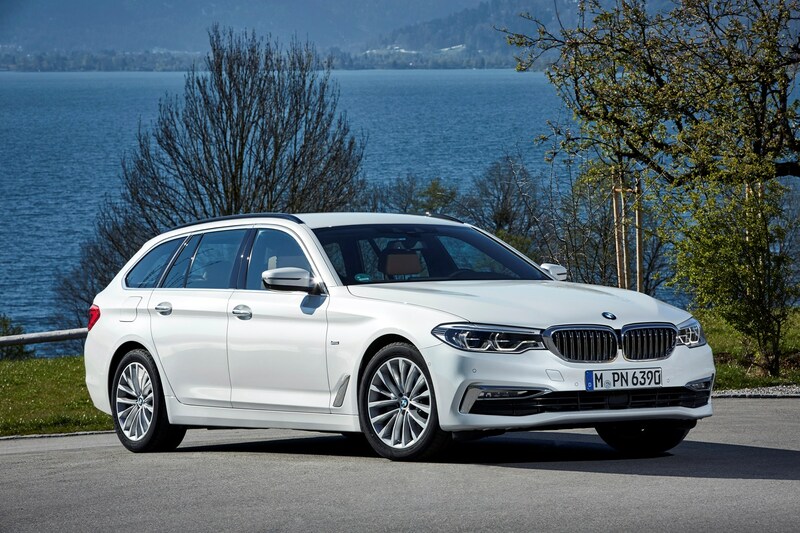 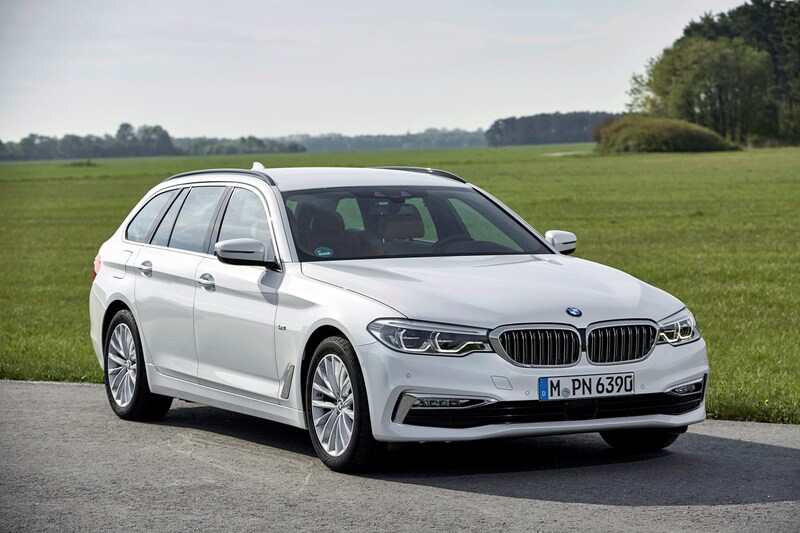 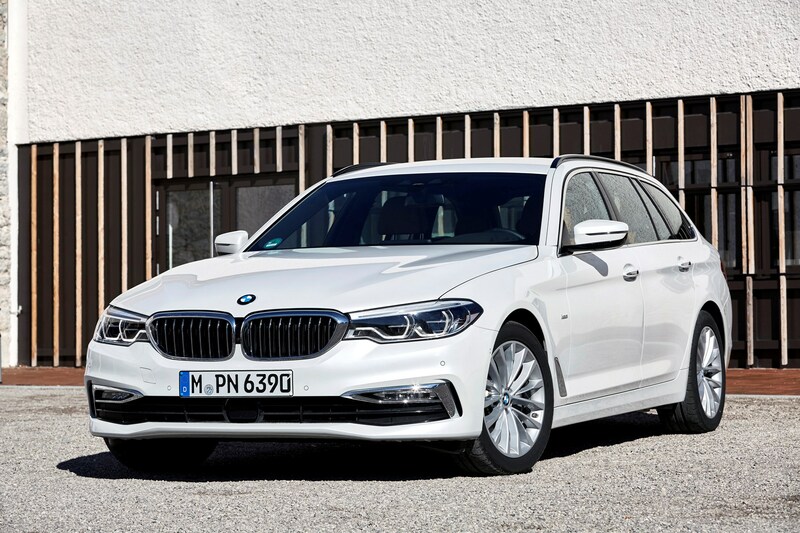 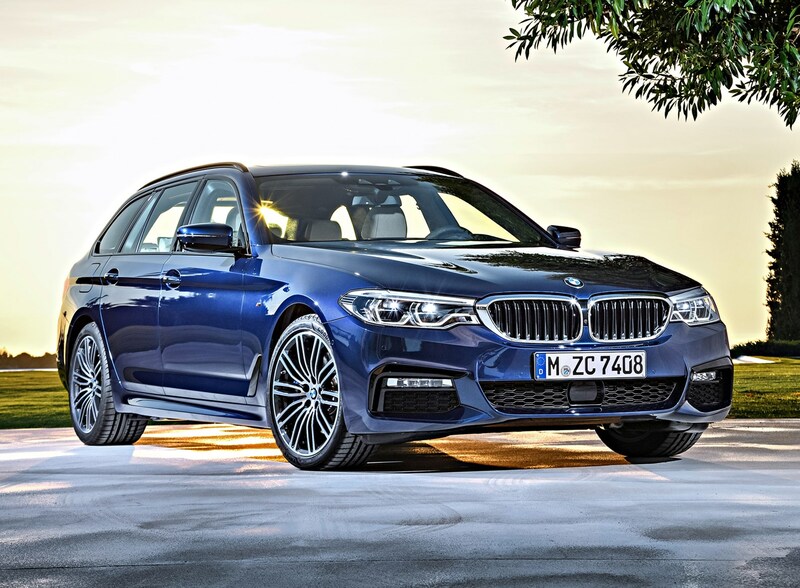 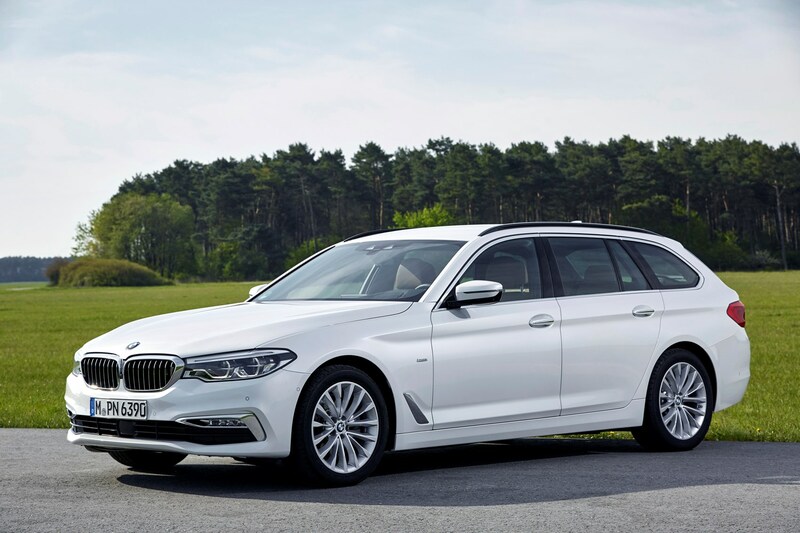 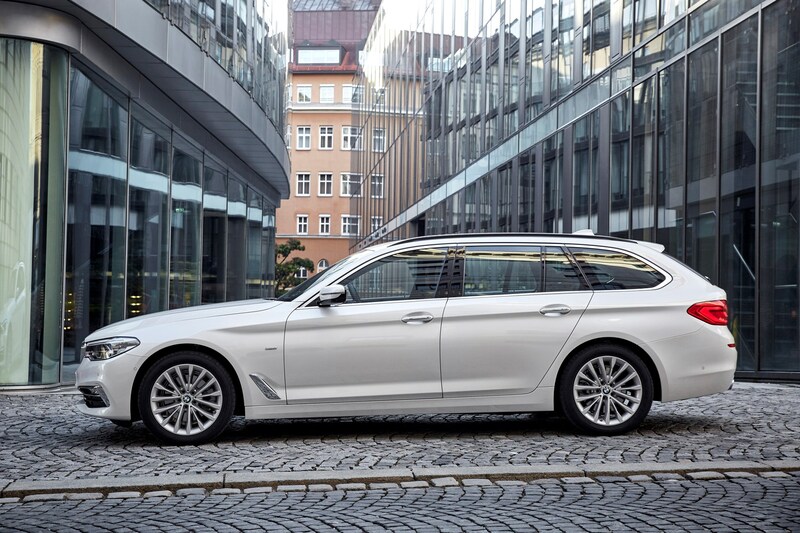 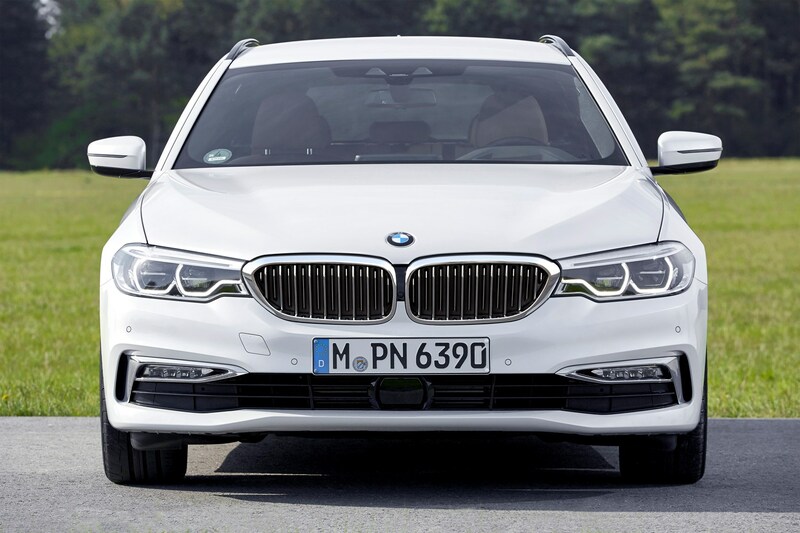 The fifth-generation 5 Series Touring takes an evolutionary approach to improving on its predecessor, but the gains are worthwhile nonetheless. 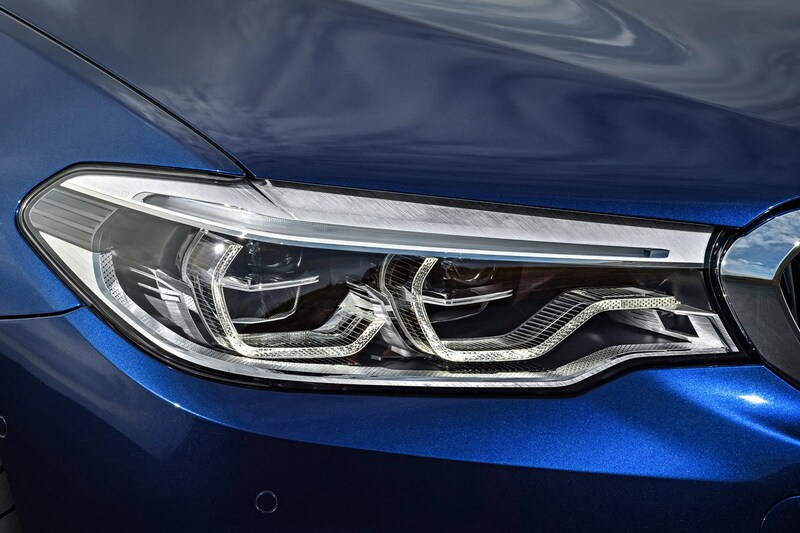 It grows slightly in every way, being 36mm longer, 8mm wider and 10mm taller. 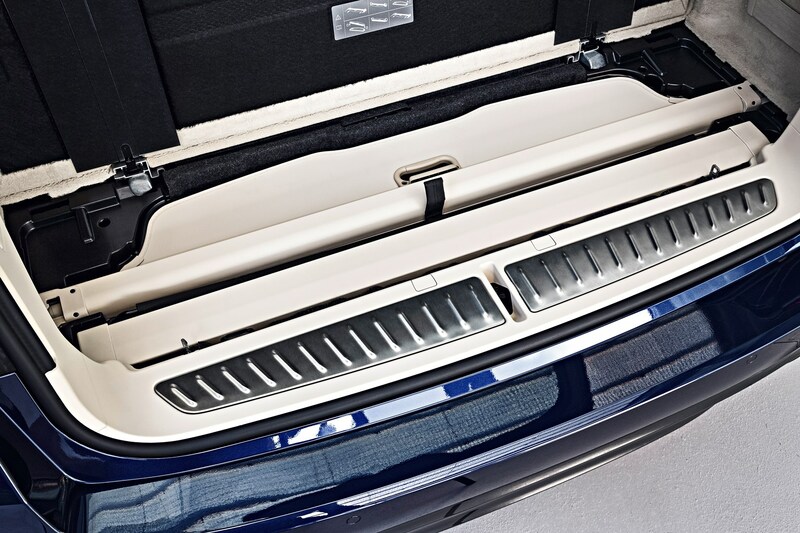 Despite this, weight falls by around 100kg, thanks mainly to the bodyshell using more lightweight aluminium than its predecessor alongside conventional steel. 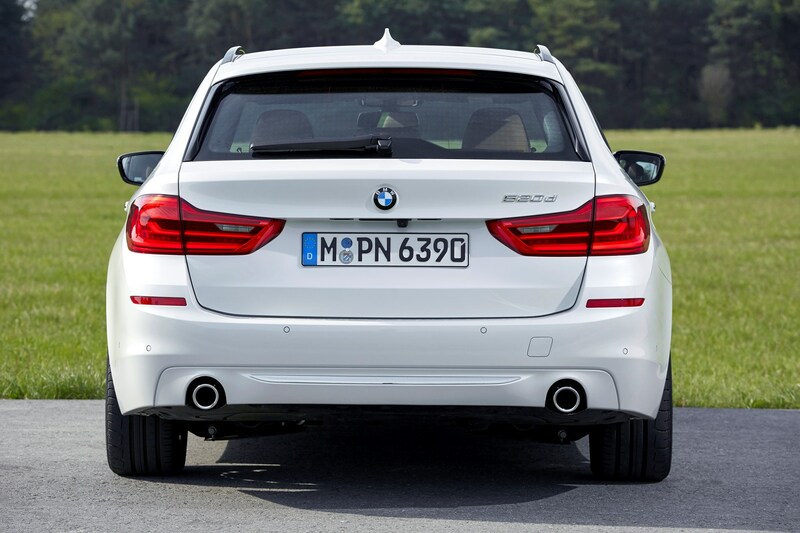 That helps agility, dynamics and fuel efficiency. 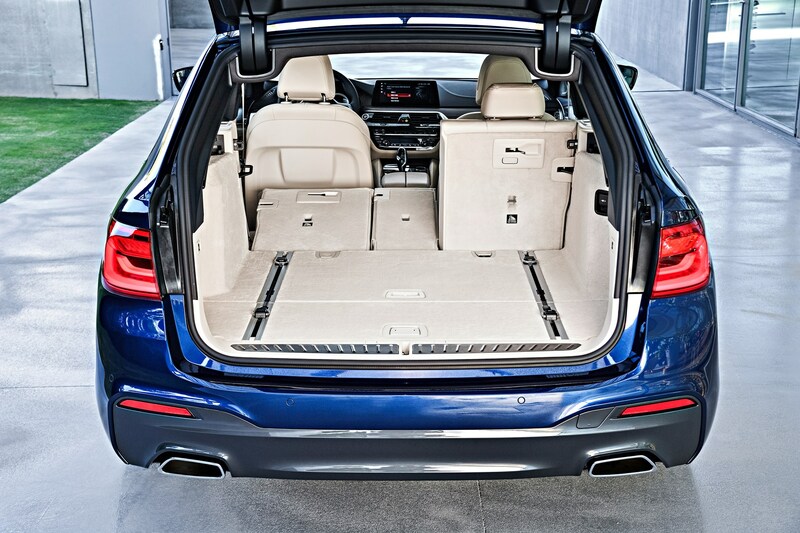 Key to the Touring’s appeal, of course, is its large luggage capacity (above). 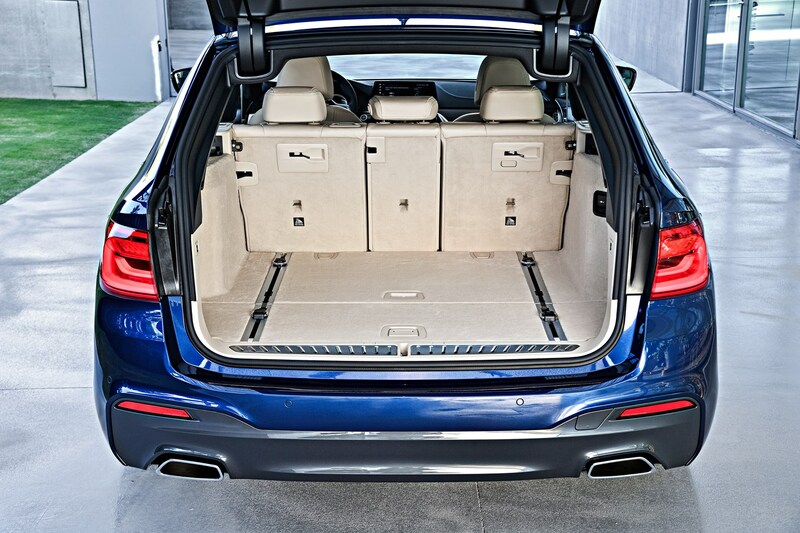 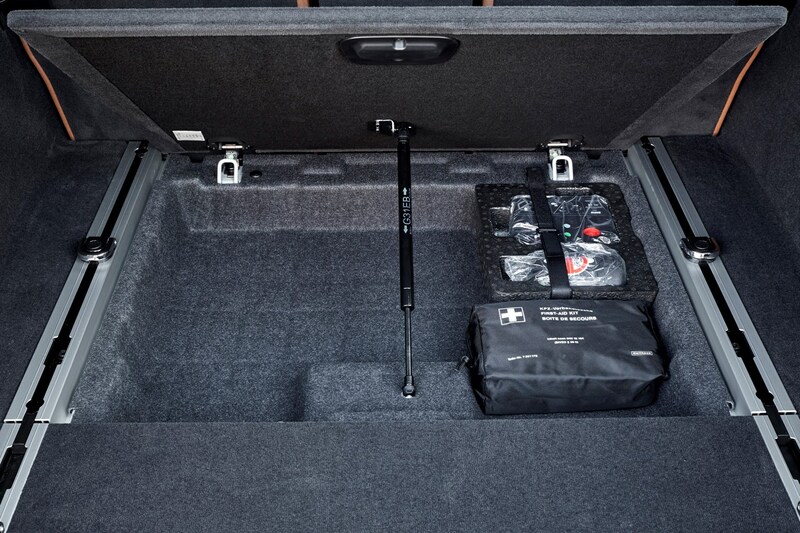 That increases by a relatively small 10 litres to 570 litres with the rear seats in place (E-class: 640 litres; A6 Avant: 565 litres), but the boot floor is low and the aperture generously wide, making it relatively easy to load large items. 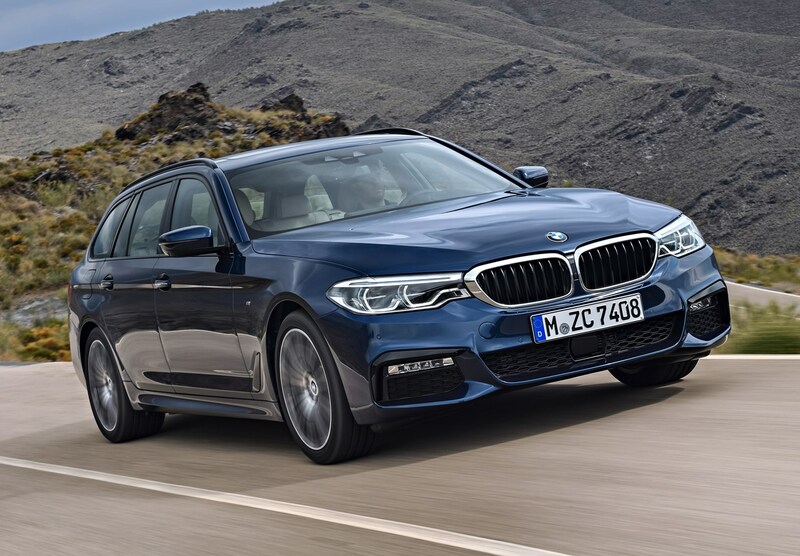 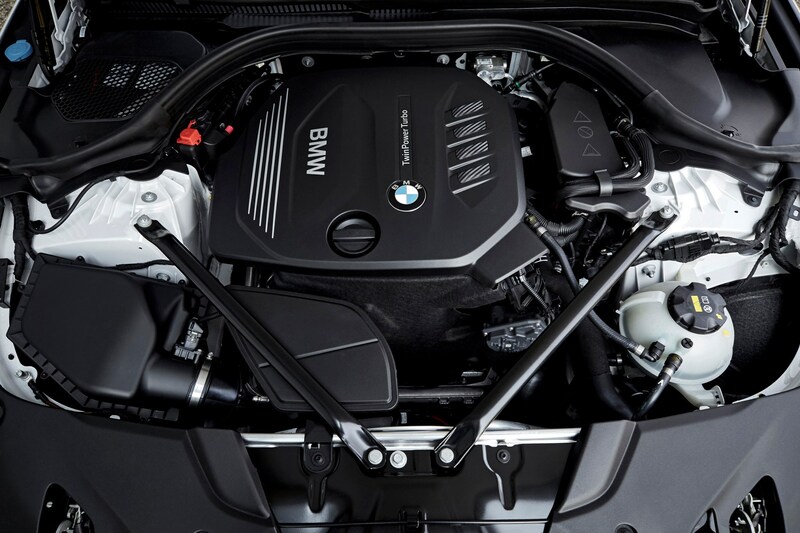 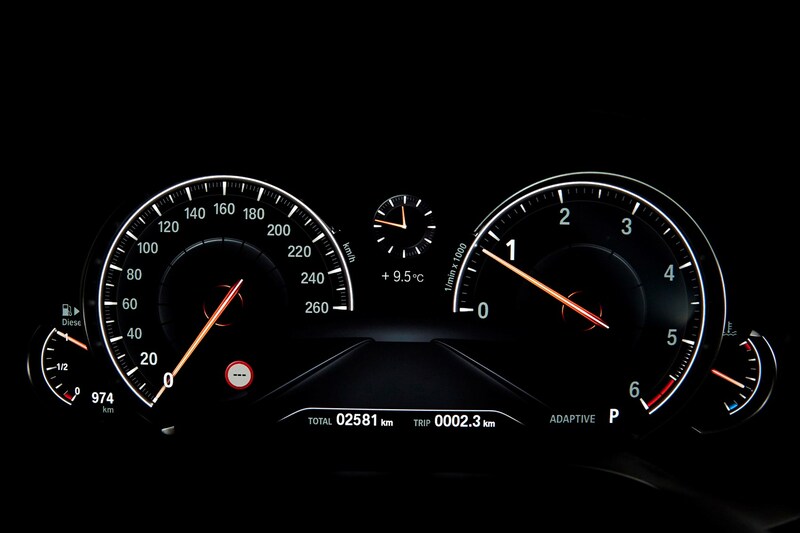 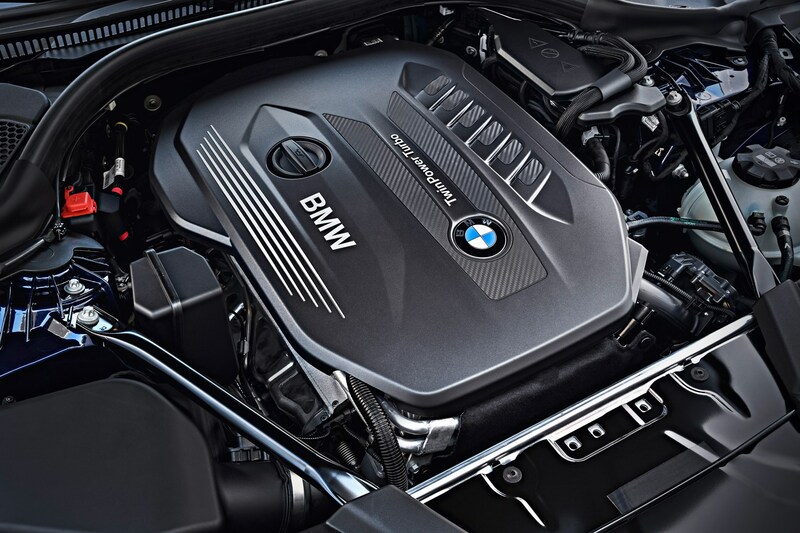 A range of four- and six-cylinder petrol and diesel turbocharged engines are available, with six-speed manual or eight-speed automatic transmissions and a choice of rear- (sDrive) or all-wheel drive (xDrive), depending on engine specification. 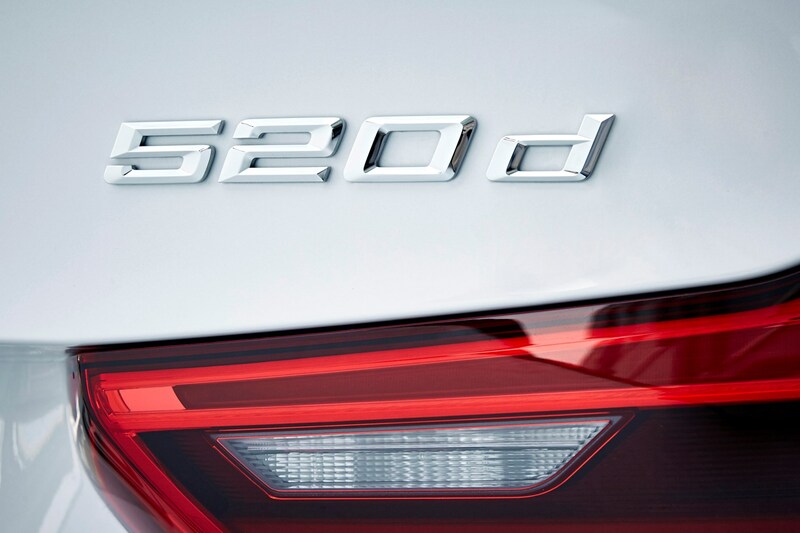 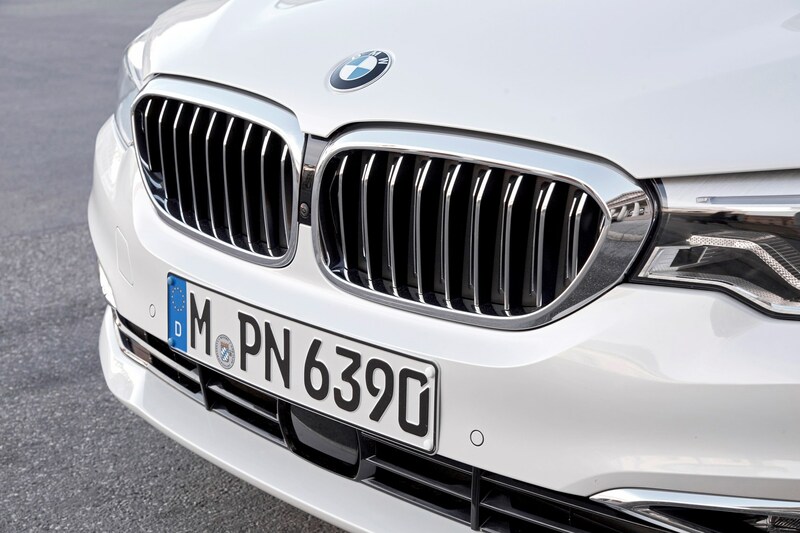 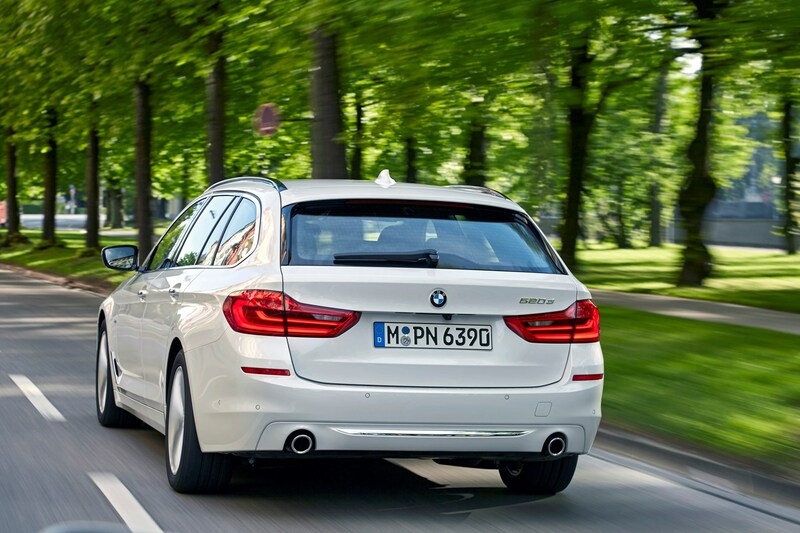 The 520d remains the big seller, with 80% of buyers won over by its combination of 187bhp with 65.7mpg and 114g/km. 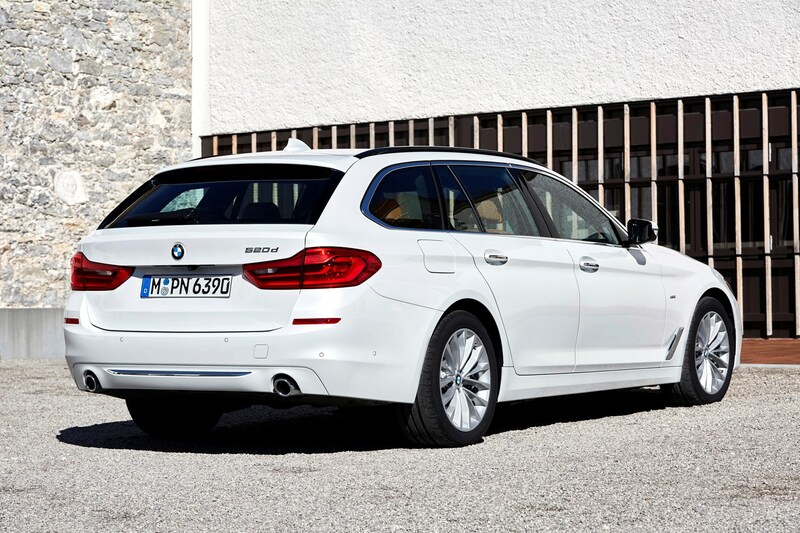 Buyers can also choose from entry-level – but still generously equipped – SE or M Sport trim levels. 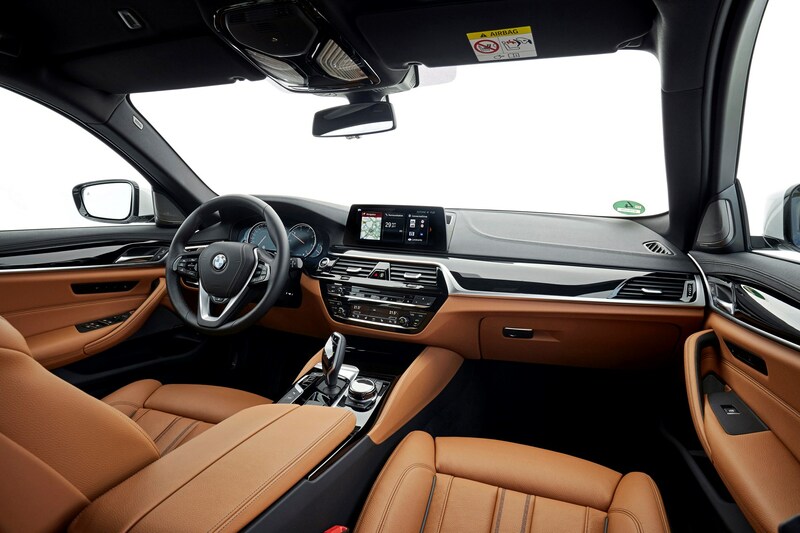 The options list is extensive, but options are often bundled into attractive packages. 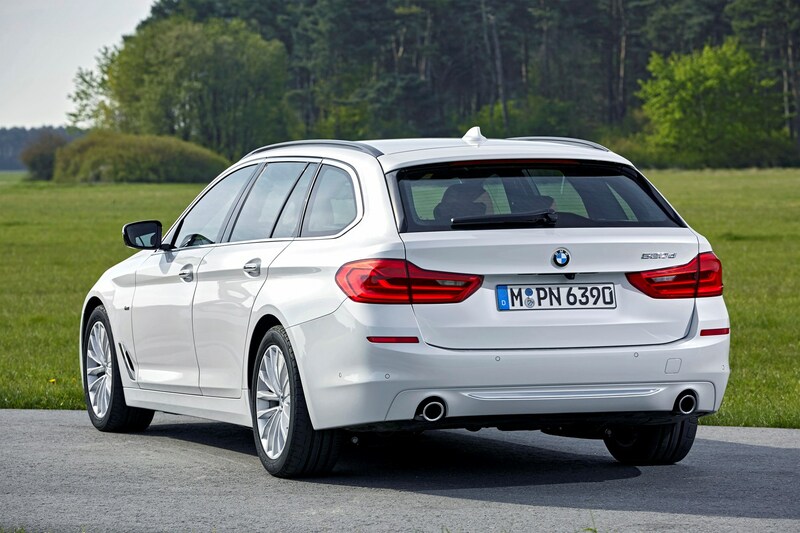 It handles almost as well as the saloon, is just comfortable, and has all the engine and trim options you can shake a stick at. 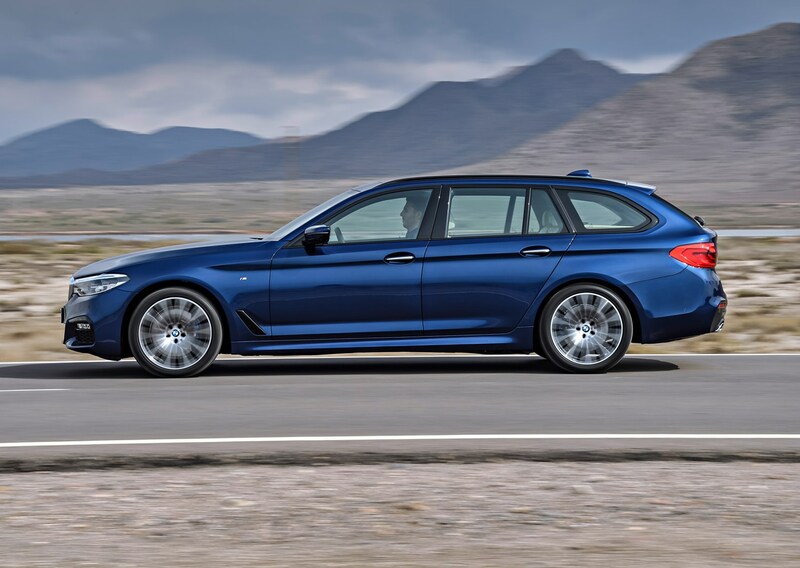 There are some compromises in terms of refinement and dynamics compared with the saloon – but we're talking very small ones. 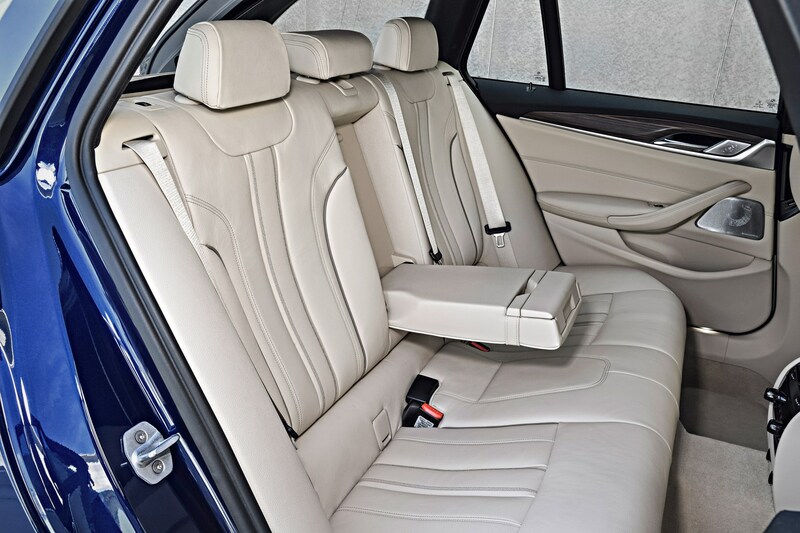 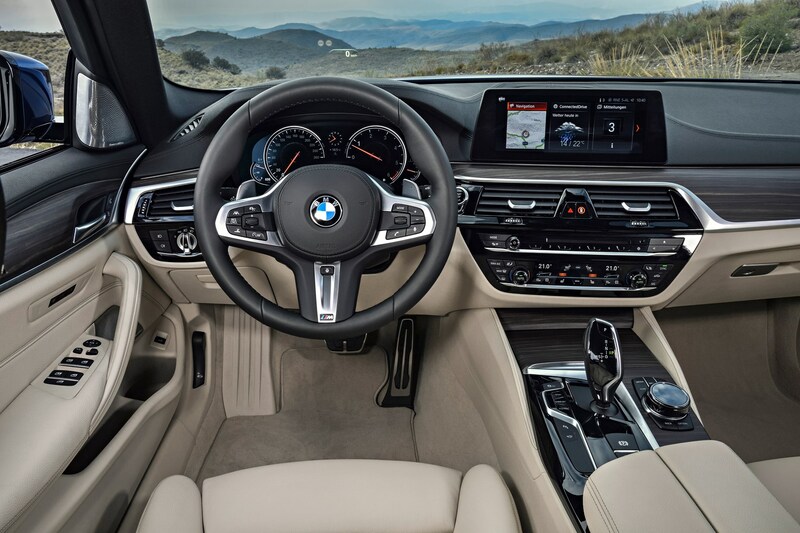 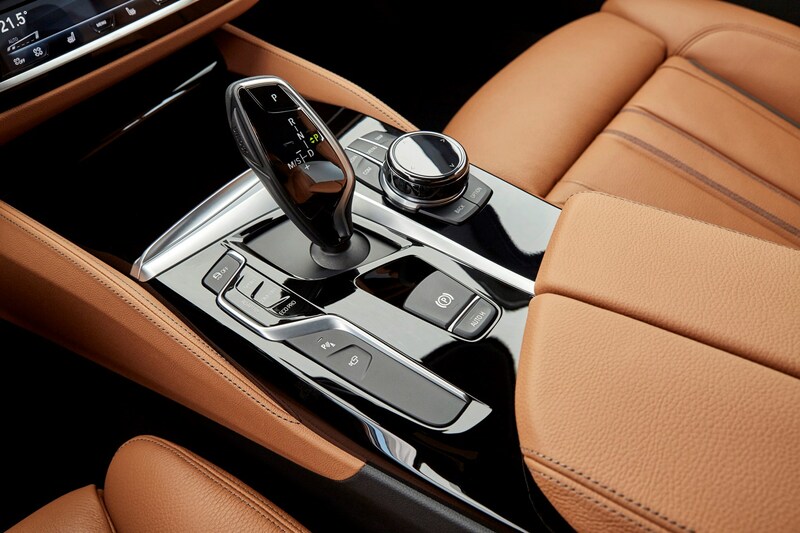 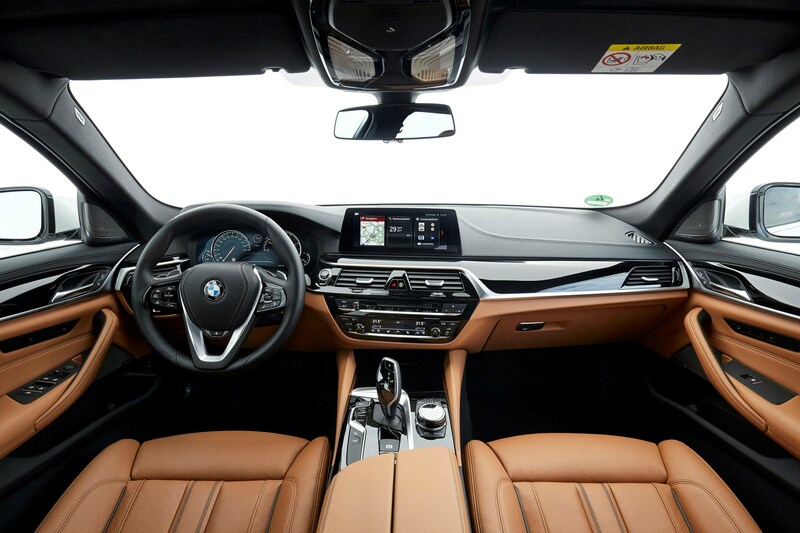 You'll get all the premium experience you'd expect from the saloon, too. 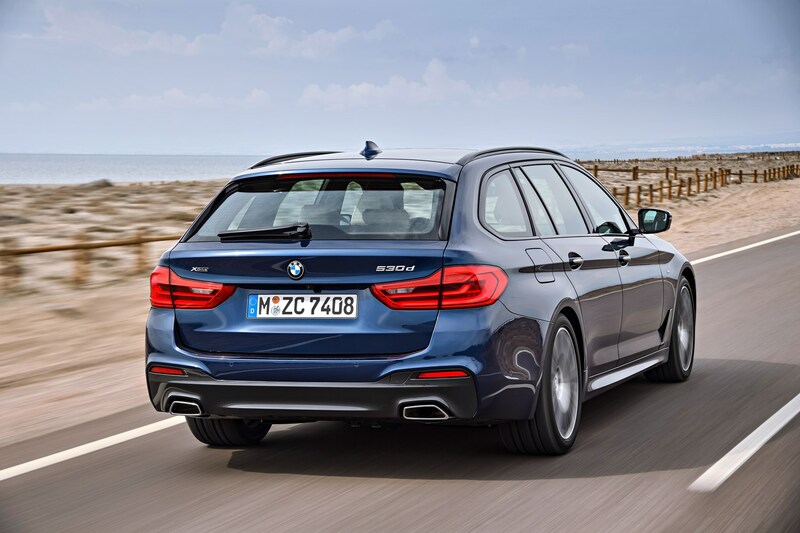 Which is a good thing, because with all the thoughtful impovements to the load bay (the estate's USP, of course), a lot of small upgrades have resulted in a very competent car. 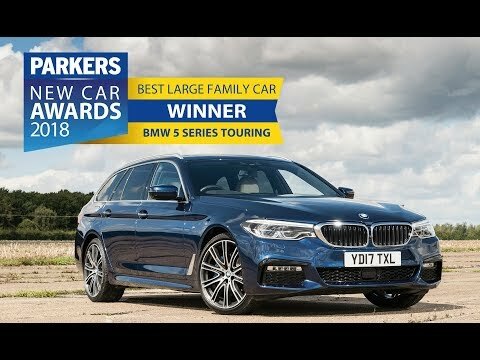 Is it the perfect large estate car? 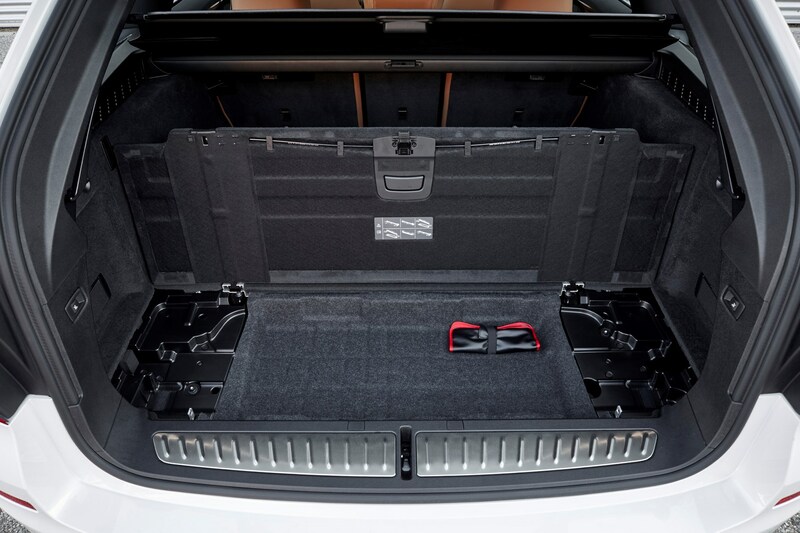 Pretty much. 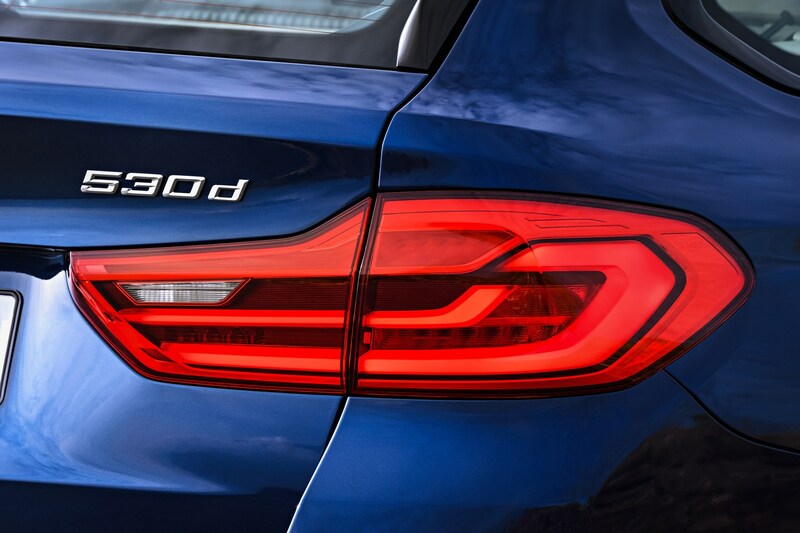 Read on for the full Parkers review, where we’ll cover all this and more in detail.